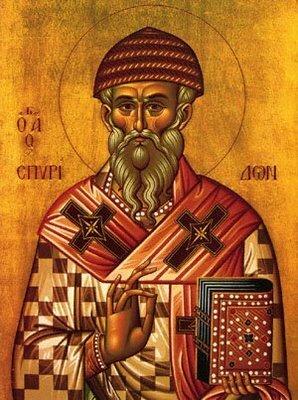 Following intense arguments with Nestor, Cyril of Alexandria proposed the following 12 rules of which if any where broken, the individual would be anathematised, meaning formally set apart from the church, ie excommunicated. The council of Ephesus endorsed these rules and they are mentioned below. Previous Post The Alabaster Flask! I am Greek Orthodox. I and my church agree 100% with what St. Cyril said (he is one of our saints after all). So I’m wondering: why the split? This is just an earnest question. I’ve been searching the web for any Coptic blogs I can find, looking for someone to elucidate the reason why the Coptic church remains out of communion with us. Obviously there are historical reasons (and I know there were imperialistic abuses of power on the part of Constantinople way back in the first millennium), but what are the theological reasons, from the Coptic point of view, for our not being in communion? Are there any? I’d be to delighted to hear that there aren’t, and that both sides just need to overcome our prejudices, but I suspect it’s not so simple as that. From my understanding, the perceived theological differences that existed where only due to misunderstanding and now have been resolved, and theologically the Greek & Coptic churches are identical in their theological beliefs! As for communion between the two churches, there are active steps being taken at the moment to make this a reality. For eg, in Egypt it is now permitted for a Coptic to marry a Greek and if a Greek was to come to the coptic church they no longer need to be baptised and vice versa. These are small steps, but every mile journey has a first step! Let us keep praying for the unity of the Orthodox Church! Thanks for your reply. I agree with you, and I hope we are right. However, there must be people in both churches that disagree or else we would be re-united by now or at least moving toward that goal in a more focused and intentional way. If what you say is true, then our present disunity cannot be tolerated. I would point you in particular to the comments below it, where I asked the author of the post what he thought about the schism between us and the Non-Chalcedonians. What do you think of his responses? Are there real and lasting reasons for the schism between us? Is what you and I have said a betrayal of the Church Fathers’ ecclesiology? I would be very interested to read your thoughts about it, if you get the chance.